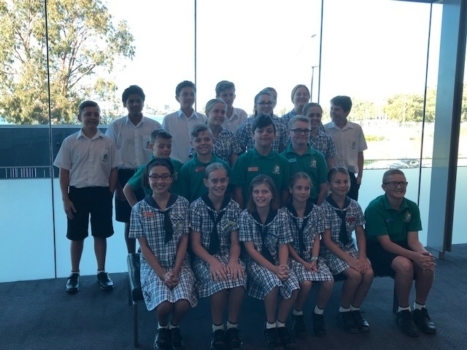 The Year 6 and 9 House Captains attended The National Young Leaders Day at the Perth Convention Centre, Perth on March 25###sup/sup###. We gathered at Clarkson Station early morning; far too early for us all to function, but nonetheless ready and excited for what the day ahead presented. The train, packed with people on the way to work and school made it hard for us to breathe! We finally exited the train in need of some fresh air and walked the short journey to the Perth Convention Centre. Hundreds of school age children filled the auditorium as we took to our assigned seats, and flicked through the booklets given to us, urging us to record worthy quotes, suggestions or ideas shared during the course of the day. Keynote speaker after speaker, our booklets slowly filled up. I know that we all learnt so much and became inspired with each shared experience. The audience asked many questions after each presentation and provided the chance to meet the presented during the breaks. We met a variety of people travelling from schools everywhere across WA and it was interesting to see the different kinds of leaders that existed among the assortment of schools. We were lucky to have the opportunity to listen to inspirational leaders. 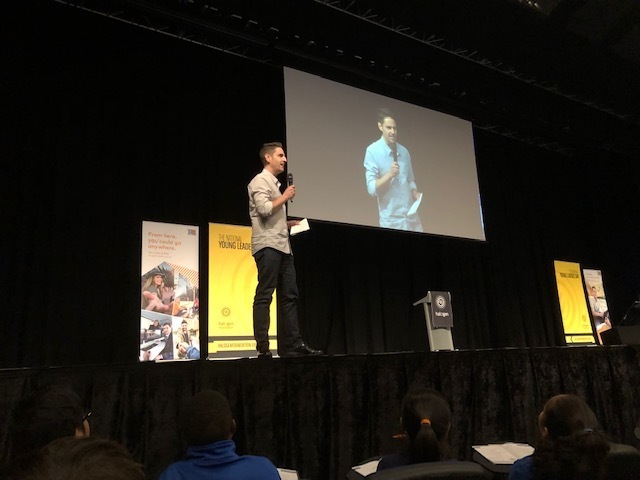 Some of their roles included an Influencer who was also young Australian of the Year in 2013; a Co-founder of the well-known Cotton On Foundation; a national Australian swimmer who is a 9 time Olympic medalist, as well as a very unique children’s’ author and illustrator. The experience of attending the National Young Leaders Day inspired me to take action and become an active role model among my peers within my school community. 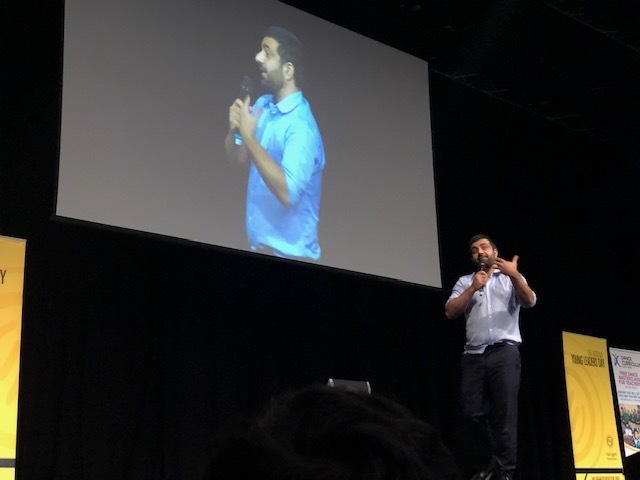 The key message I took away from the day is that you choose who you want to be and that you should not let anything stop you from pursuing your passions; everyone has the power to be the change you wish to see in the world. The way to make a difference is to stay positive; be persistent; work to make the world a better place; create your dreams and goals and to quite simply act and JUST DO IT!